This robot fish is able to fully mimic the three-dimensional movements of the carp. For the first time, a robotic fish can move realistically in three-dimensions autonomously. A team of researchers from the National University of Singapore’s (NUS) Department of Electrical & Computer Engineering has developed a robot fish that mimics the movements of a carp. 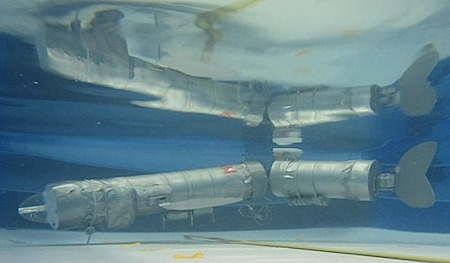 This robot which is essentially an autonomous underwater vehicle (AUV) is ready for applications, as it can be programmed to perform specific functions, for example, for underwater archaeology such as exploring nooks and corners of wreckage -- or sunken city which are difficult for divers or traditional AUVs to access. Other applications include military activities, pipeline leakage detection, and the laying of communication cable. From National University of Singapore via Kurzweil AI.